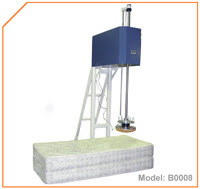 The B0008 - Bedding Impact Tester has been designed and manufactured to perform various tests and evaluations of Innerspring, Boxspring and Foam mattresses, as well as Chairs, Cushions and other similar products. The machine consists of a 79.5 ± 1kg platen, which drops down and impacts the test specimen from various heights as selected by the operator. This allows comparison of results obtained by impacts from different heights. The machine can be used to impact any locations on the specimen, including middle areas, corners and edges to compare performance of both inner and outer components. 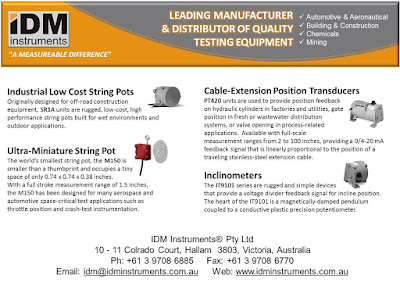 The machine operates by testing each product at the same position, once a location is set for comparison.